Every day I have the opportunity to work on a different challenge which drives me to stay focused on the task at hand and gives me the needed push to find creative solutions to technical problems. Develop the CAD design of MEP services while coordinating the various services drawings, ensuring that our drawings accurately represent our values in delivering high quality drawings for our projects. Lydon has developed his knowledge in the use of CAD software through various training programmes. Lydon is also knowledgeable in a multitude of other building information modelling software available on the market. 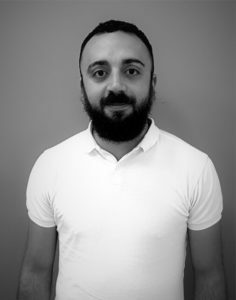 Lydon has acquired his knowledge in the building services industry from his direct experience in various projects in Malta. His knowledge has been obtained from the actual design of working drawings for the actual installation of services up to the completion of handing over of as-fitted plans to Clients. Lydon has furthered his experience in the industry with our team in the actual design planning of MEP services for a wide range of buildings and now oversees the final output of our designs.